Keep the memory close with a memorial heart display, made of polished black marble and engraved with your favorite photo of your loved one. 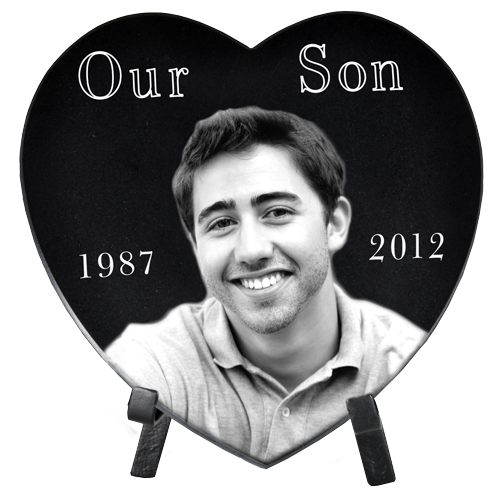 This customized memorial keepsake can be engraved with clip art for an additional cost. An easel is included to display your special memorial. The included easel may differ from photo. Place your order, then submit your high resolution digital file in JPG format to service@newmemorialsdirect.com with order number. We will create and send you a proof to approve before the final piece is made. There will be an additional fee for processing more than one photo. Allow 5-10 business days for proof approval process & creation. Plus ship time. Add a framed print of your loved one? Add a 5 x 7" framed photo printed on bright gloss paper. 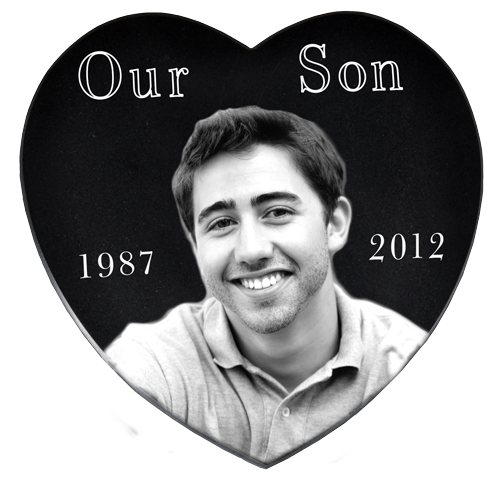 This memorial print will be based on your approved proof for the heart memorial. Vertical or horizontal print will be dependent upon photo proportions.